Coloring has never been just for children, but the creation and marketing of adult coloring books in the past years has turned this childhood pastime into a booming trend. For those wanting to give adult coloring a try, options abound. You can find everything from nature and animal scenes to coloring books inspired by favorite quotes or fictional characters. Coloring books centered around mandalas and other patterns are especially popular because they take coloring from a simple art activity to an easy and low-cost way to reduce stress and anxiety and help you wind down and relax after a long day. 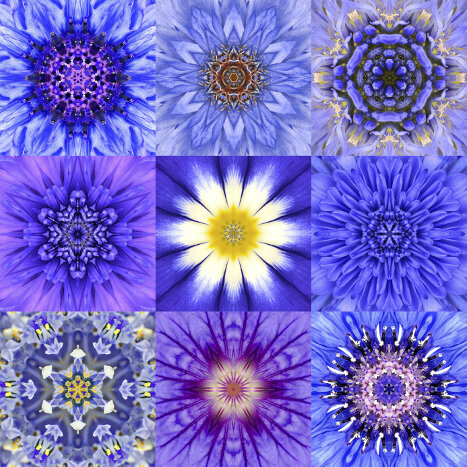 A study published in Art Therapy: Journal of the American Art Therapy Association found that coloring complex geometric patterns can put the brain in a meditative state. The study was conducted under the premise that anxiety is a kind of “inner chaos,” and the researchers sought to find out whether coloring was able to relieve anxiety and whether certain types of coloring were more relaxing than others. The study measured the participants initial anxiety levels and then induced anxiety before having the participants color either a mandala, a plaid pattern or a free-form image. The participants’ anxiety levels were then measured after the coloring and compared to the other values. The study found that both the plaid and mandala colorers had lower levels of anxiety after the coloring, but there was little change in the free-form group. Why Does Coloring Mandalas Help Relieve Stress? 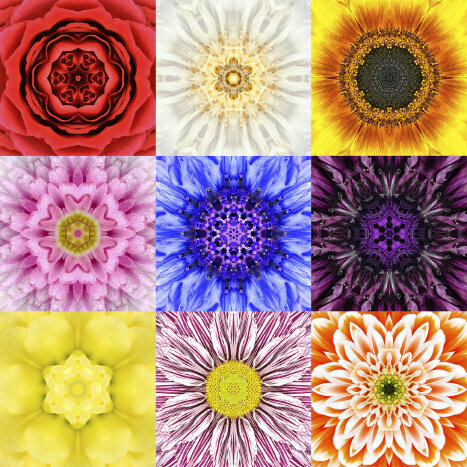 While this particular study showed that coloring mandalas and other complex geometric shapes can reduce stress and anxiety levels, researchers were then tasked with trying to figure out why this is the case. The authors believed that one possible explanation was that coloring pre-made mandalas was a more guided activity than free-form coloring. While those in the free-form group had to design their own images and then color, the mandala and plaid groups were able to relax and just follow the pre-made lines. The researchers believe this may engage the brain just enough to start organizing that “inner chaos” and quieting feelings of stress and anxiety. The repetitive patterns and allow you to focus on the colors and soothing, repetitive movements associated with coloring. Are There Other Benefits To Coloring? Increases mindfulness. Focusing on the lines of the pattern helps you stay present in the moment, easing anxiety about the past and worries about the future. Allows you to express yourself creatively without judgment. Because the lines are already drawn, there’s no worry about making everything perfect. The intricate mandala patterns also give you more freedom to choose colors and combinations not normally used. Calms the physical body. Coloring can lower your heart rate and decrease physical stress and anxiety responses in the body. Coloring therapy has also been shown to be helpful to those suffering from other mental health issues, such as depression and post-traumatic stress disorder. Coloring has no side effects, so it is safe for just about everyone, but it should not be used in place of any medications or treatments you are currently taking. There are plenty of mandala coloring books available both online and in brick-and-mortar stores. Art supply stores, traditional book stores and even big-box stores often have a large selection of adult coloring books that feature mandalas. If you’re not sure that you want to invest in an entire book of mandalas, there are also several websites that offer free printables so you can get started in just a few minutes. For meditation purposes, it often works best to start with mandalas that are already drawn and ready to be colored in, but you can also create your own with pen and ink and then color them in afterward. While you may associate coloring with crayons, colored pencils or fine tip markers are recommended for meditative coloring because the smaller points make it easier to do the detail work. They also help you hone in better on what you’re doing, which increases the meditative focus.